Custom-made souvenirs and giveaways are a popular notion these days. Among customers, it brings visibility and personal connection which, in due course of time, can turn into enhanced sales. Among employees, it evokes a sense of belonging that makes an organization stable and esteemed in terms of employee satisfaction. Gifting personalized merchandize symbolizes sharing of ownership and thus draws out a feeling of responsibility and faith in the brand. Social events hosted by companies offer a great opportunity to strengthen bonds between the employees and the management; a relationship that is most crucial for any organization’s unabated success. 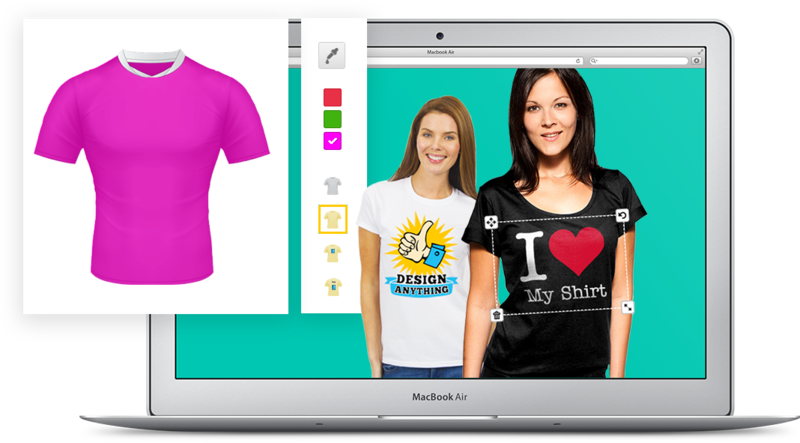 Potenza Global Solutions offers an easy-to-use tool for you to make custom t-shirts online that make excellent giveaways during social events, marathons, CSR activities etc. Design your t-shirts with Potenza and tread a smooth and effortless course to receive your personalized merchandise in no time. Call us today to design customized giveaways for family, employees, clients and customers for strengthened professional relationships that enhance brand recall.